Everybody loves holidays, and going on a business trip or attending some training can also be fun. However, someone else should cover for you while you are away or out of reach. Does ApprovalMax help you here? Of course it does! You can set up a Delegate for yourself, regardless of who will take care of requests submitted for your approval. 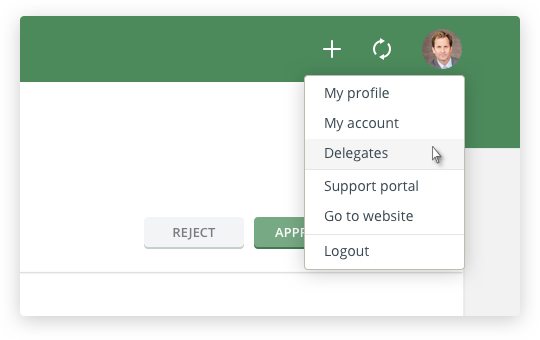 And if you are a Company’s Administrator and can access the Company settings, you can also define a Delegate for other Users. Head straight to your Avatar in top right corner, click on it and choose “My Delegate”. 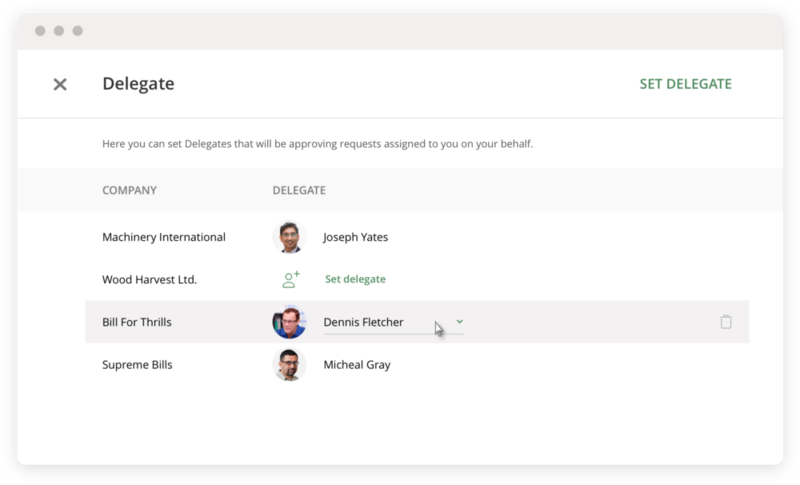 A popup will open and allow you to set up your Delegate for all the Companies you are involved in. Here you can choose your Delegate. 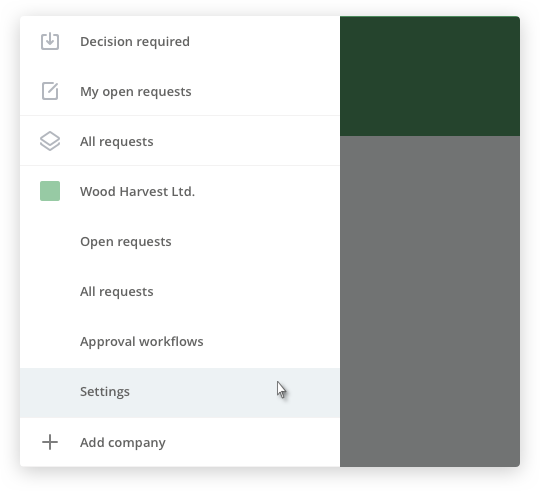 If you are a Company’s Administrator, head to the navigation drawer and click on “Settings”. 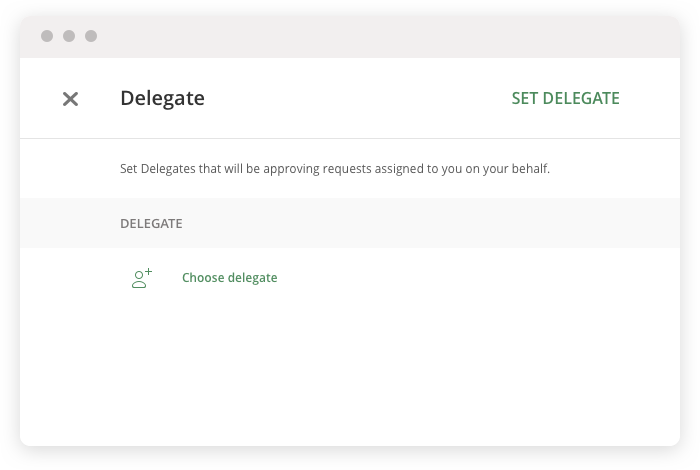 When you hover over a User, “Set delegate” will appear. Click on it and a popup will open and allow you to set the Delegate for this User.